We offer the highest quality mechanical and quartz wrist watch repairs and pocket watch repairs. Simon Michlmayr FBHI is a second-generation watchmaker and has been an accredited Rolex watchmaker since 1989. We offer the same exceptional quality of service to all of our customers across almost all brands of mechanical and quartz watches. S Michlmayr & Company is a certified service centre for Omega, Certina, CK, Hamilton, Tissot, Mido, Balmain, Rado and Longines, meaning that we will only fit genuine parts ordered directly from the manufacturer. If parts are no longer being made, for example in the case of vintage watches, we have the skills and technology in-house to manufacture the specific part required and fit it seamlessly into your timepiece. 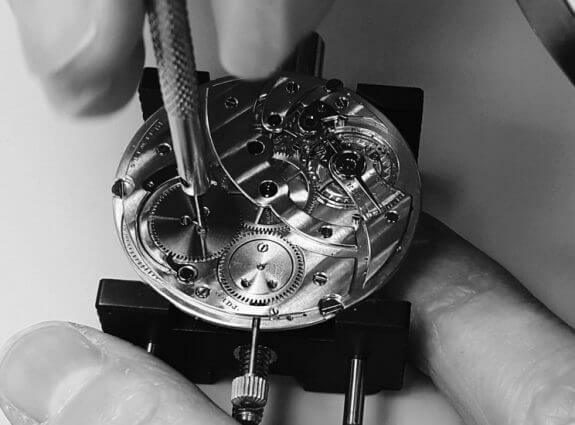 Due to the skills and expertise of Simon and the team at S Michlmayr & Company, we are specialists in vintage watch repairs, with the ability in-house to repair any mechanical timepiece to its original functionality. So whether you have a 2017 Omega Seamaster or a vintage 1918 Longines watch repair, our highly skilled team will deliver a watch repair service to the highest standards. All of our watch repairs are offered with a service as standard, unless instructed otherwise. 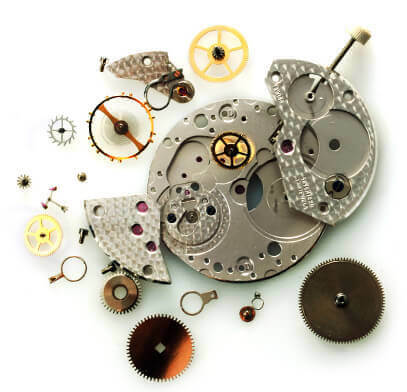 Our expert team will thoroughly check the quality and performance of the components inside your watch mechanism, along with the casing and seal to diagnose any faults or wear that may be causing a problem now, or may be likely to create a fault in the near future. If any additional repairs are identified, we will always quote additional work in advance before it is undertaken. We will never return a timepiece to you without informing you of any additional identified faults. Our watch repair estimates are based on a careful internal inspection which will need to be conducted before we can give you an estimate of repair costs. This enables us to determine the necessary interventions required to ensure the correct functioning of your watch. You can either bring your watch to us or post it, along with your contact details and any instructions you may have (but not the original display box) and we will book your watch in for an estimate. You will be given a unique reference number. Once we have completed our estimate, we will contact you via your preferred method to give you our price. You will then be able to either approve the work or if you decide not to go ahead, simply request collection/return of your watch. We will not undertake any work on your watch without approval of our estimate. If you wish for us to return your watch to you by post, our postage, packaging and insurance charge is £12.00. We work in collaboration with Aurum Jewellers in Norwich who kindly serve as an alternative city centre drop off and collection point for all clock and watch repairs. You can find Aurum Jewellers at 21 Bedford Street, Norwich, NR2 1AR. Please inform us if you wish to drop off or pick up your timepiece at this location so that we can make Aurum aware and arrange it’s delivery to and from our workshop.